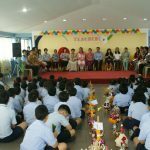 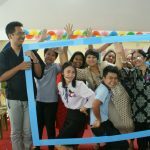 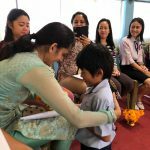 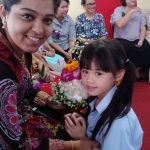 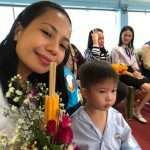 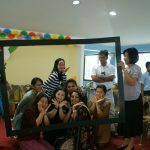 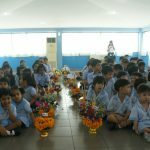 Bangkok, 6th September 2018: GIIS had a magnificent celebration of Teachers’ Day in Bangkok campus. 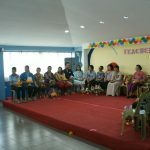 The function commenced with the presentation of a heartfelt song by students as a visual tribute to teachers. 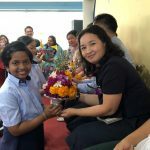 Principal Ms Sopa Sittisruang shared a brochure to all facilitators to remind them of the importance of teacherhood from ancient times in Thailand. 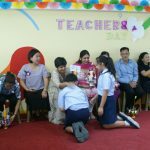 Teachers are the guiding force for students to develop a good attitude towards the country and have a stable life with moral and ethic values; teachers should be directors to mould children to good citizens in addition of their carrier achievements. 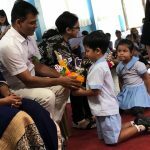 Vice Principal Ms Sumita Jolly has given a beautiful message on the occasion that it is the duty of students to remember their mothers as well as their fathers since they are the first teachers. 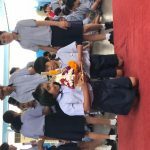 Thereafter, the assembly was reverberated by fun and frolic humorous presentations which had the students in splits of laughter. 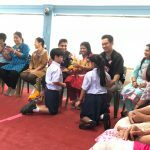 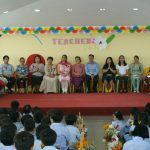 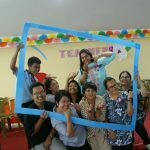 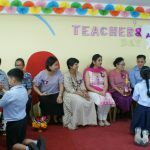 Principal Ms Sopa Sittisruang, Vice Principal Ms Sumita Jolly and Vice Principal of Kindergarten section Mr Cyril Rodriquez Ibanez headed the programme. 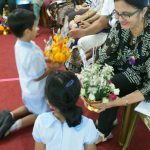 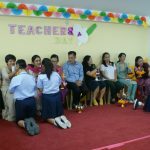 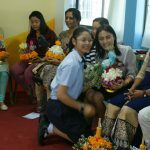 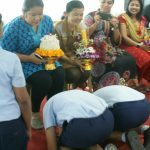 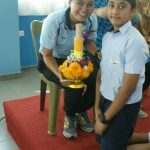 Students have shown their gratitude by kneeling down to teachers and gifted beautiful bouquets which were prepared by them. 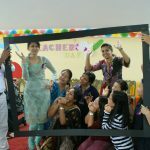 The hilarious gala highlighted different perspectives on being a teacher and teacher appreciation for the many teachers in our lives.